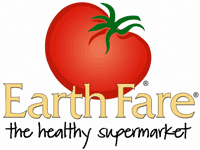 Here are all of the deals for the Earth Fare Unadvertised Deals starting 8/14. There are some great deals when you stack store and manufacturer coupons. You can see the full weekly ad here. Please share any additional deals you find in your store in the comments below. Organic Strawberries, 16 oz, $3.50 ea. Organic Green Kale, $2.50 ea.